Food has always been a part of our weekend conversations, especially when we're stuck at home without a scheduled activity and with an empty fridge. While having the usual talk last weekend, Malaysian food came in to the picture. 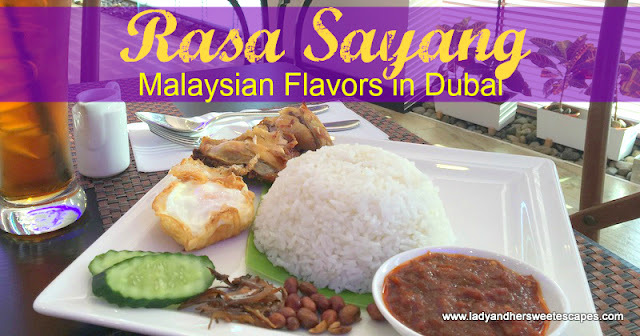 Ed and I have heard about this Malaysian restaurant called Rasa Sayang in Oud Metha a couple of years ago. 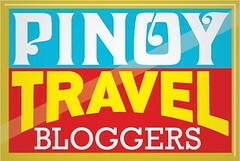 We were interested back then, but because it is located quite far from the metro station, we totally forgot about it. 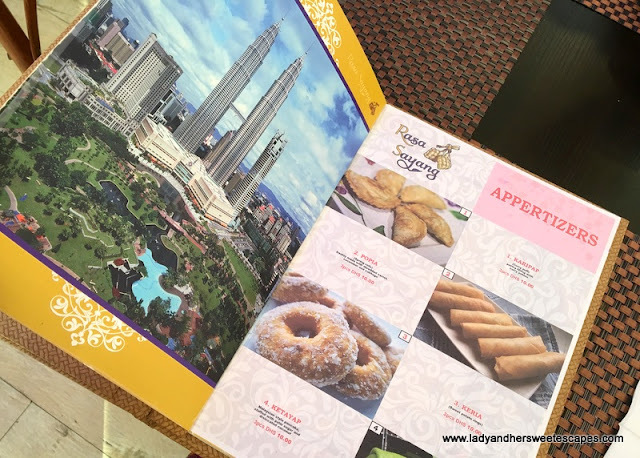 Since we had the time in our hands last Friday, we finally decided to go on a Malaysian food hunt. Guided by Google Maps, the cab halted next to the Malaysian Trade Centre building in Oud Metha. 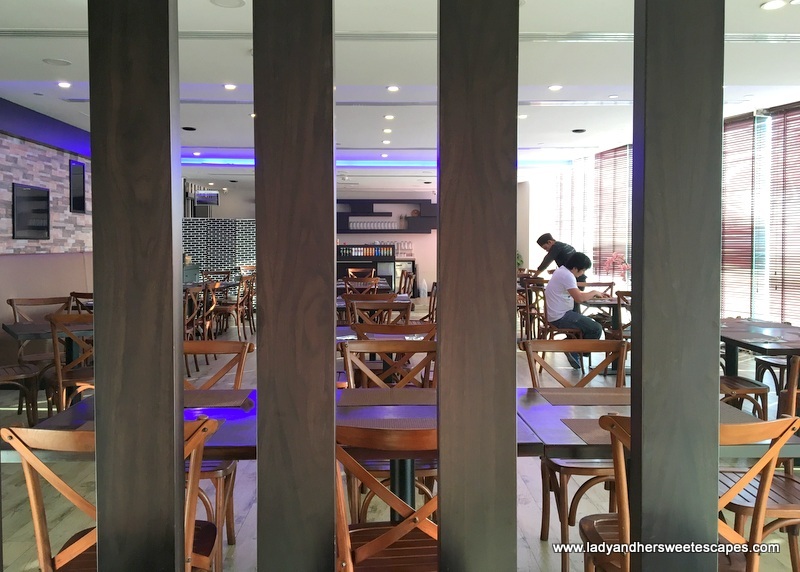 We, then, searched for the restaurant by foot and saw a group of Malaysians walking to the parking space. It was a sign. We were in the right spot! We found Rasa Sayang at 4 PM, a very unusual time for lunch; hence we were the only guests. 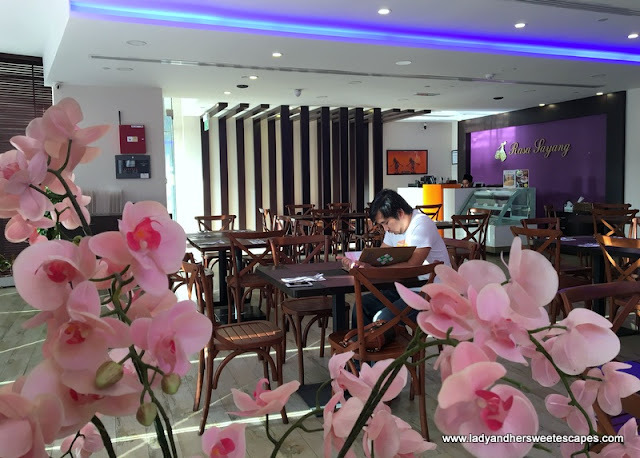 The restaurant is simple; no frills just a classic touch of wood and a little color from the artificial orchids. I got a bit of scolding from my alter ego when I opened Rasa Sayang's menu. Gosh! Why is Malaysia not in my travel plans? The menu boasts the country's famous attractions and delicious cuisine! The wait staff were friendly. Communication wasn't easy though. Ed and I ordered two appetizers - Ketayap and Popia - but only Ketayap came. Not sure if he heard me saying that I'll have Popia too or he simply got confused because I asked a lot of questions. Anyhow, that was a minor glitch in the service. Halfway through our meal, I was thankful that only one appetizer was served as the main dishes were huge and I have saved some space for dessert. Ed and I both love Ketayap! 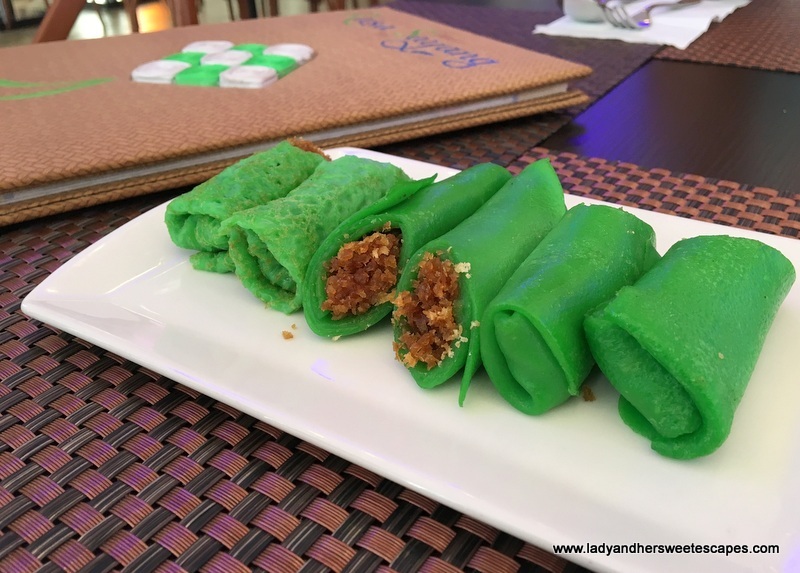 It's a green pancake filled with desiccated coconut and palm sugar. It has a tinge of sweetness that I somehow considered it as a dessert. There are plenty Malaysian beverages available in Rasa Sayang. 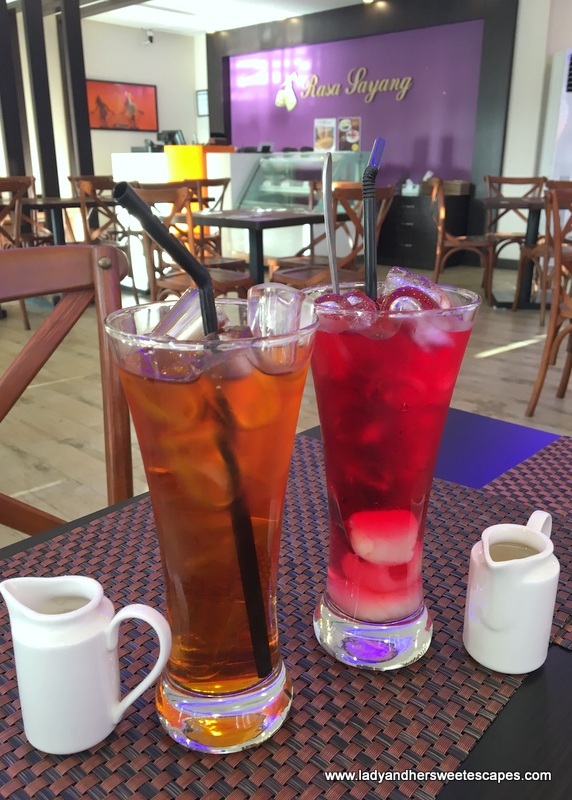 I had Teh O - a basic iced tea with sugar. Ed had Sirap Laici - a refreshing rose syrup drink with succulent flesh of lychee fruit. As there are so many options in the menu, I browsed through Zomato and Tripadvisor for recommendations. A lot were saying that Nasi Lemak is Rasa Sayang's superstar, so I went for it. 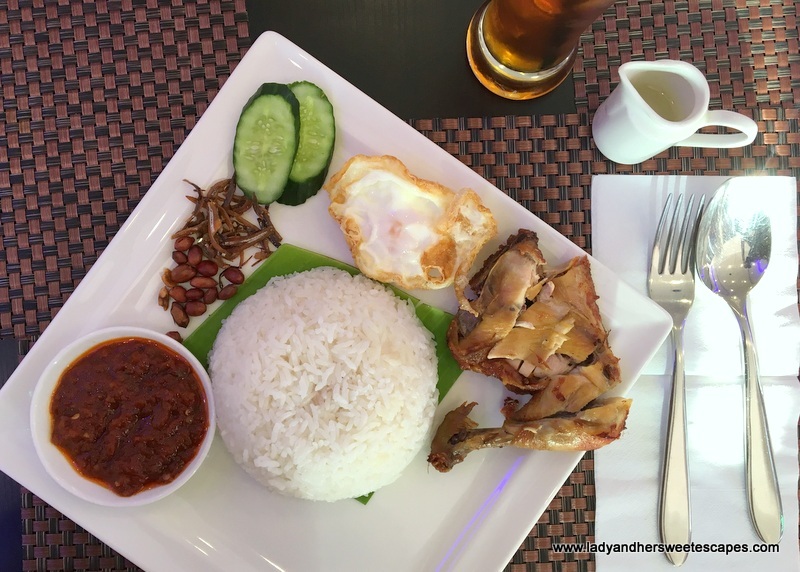 I had the Nasi Lemak Special which includes coconut rice, fried chicken, chili gravy, fried egg, peanuts, anchovies and slices of cucumber. Presentation is straight forward, yet the flavors are impressive! I actually don't how to properly eat it, but I love to mix the red sauce with the fragrant white rice to have a mild spicy kick, munch a few peanuts in between for some texture and anchovies for a hint of saltiness. This dish can actually live without the fried chicken! Ed had Nasi Goreng Kampung - one of the nine Nasi Gorengs in Rasa Sayang's menu! 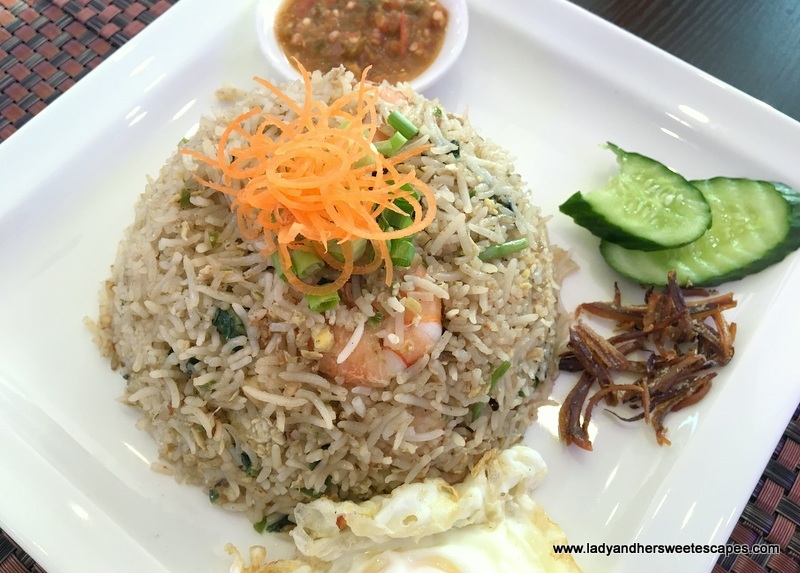 The dish is a Malay-style fried rice with chicken, shrimp and vegetables, served with spicy sauce, anchovies, fried egg and cucumber on the side. It is savory, distinct from all the other Nasi Gorengs we've had in the past, yet too spicy for my liking. On the other hand, the husband loved the heat and intensity of flavors! 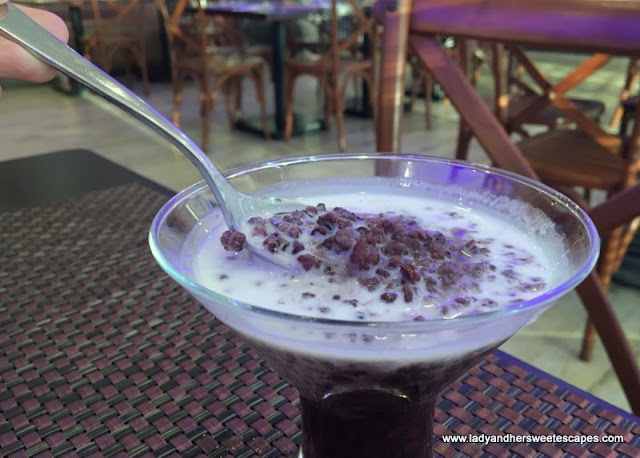 For dessert, we shared a serving of Bubur Pulut Hitam - a popular dessert in Malaysia made of black glutinous rice porridge, coconut milk and pandan extract. It is sweet, creamy and super filling (because it's RICE). Rasa Sayang did not disappoint. The names of most Malaysian dishes are similar to the ones served in the Indonesian restaurant in Karama we frequently go to because of the culinary ties between the two countries, but still incomparable to me. Both are special in their own way.